My natural hair colour is a medium brown and I have dyed my hair numerous times different shades of darker browns. I am now trying to lighten my hair colour to a light golden brown, however, ive tried lightening kits to achieve the colour but it just turns out really red every single time. How do i get rid of the warm tones in my hair? I did mine from very dark brown to light golden brown by lift out the dark with lightest ash blonde then i put the light golden brown on, no problem don't bleach it it ruins your hair ! Hello, you must go to a professional now because you took your hair to dark so a professional needs to bleach out the dark and deposit the lighter brown as your desire shade. I don't know what type of lightening kits you tried, but they are not strong enough to remove the red pigments and lift your hair to yellow stage which is the absolute requirement base to achieve a beautiful shade of golden brown. You need to highlight (bleach) your hair and add the right toner all over to remove the red pigments and achieve the desire shade. In your current situation, a professional hand is highly recommended. 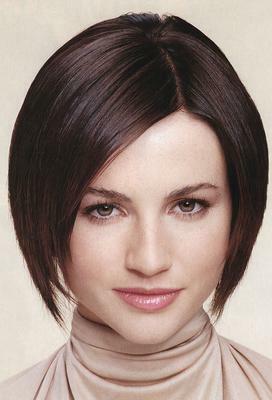 Most lightening kits that are available in supermarkets are designed to lift from a medium or light brown to golden brown and they are not strong enough for dark brown, specially if you dyed your hair numerous times as you stated.